Still working with the Create a Critter cartridge. 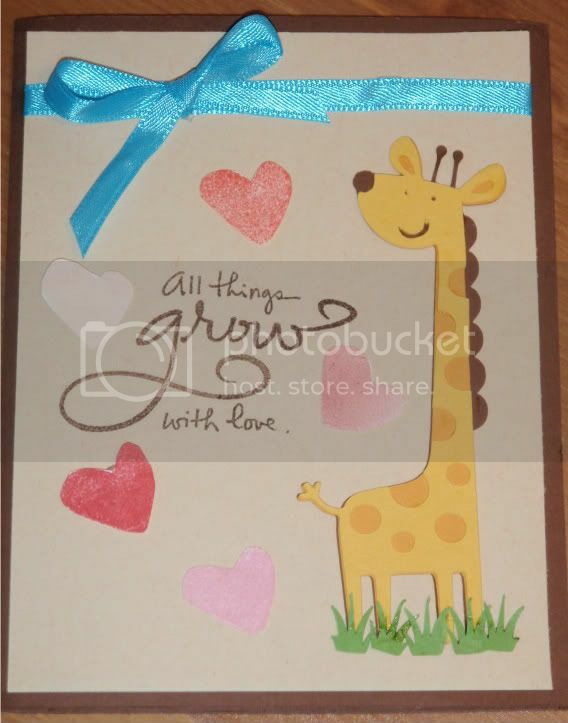 The giraffe appears on p. 48 and is cut at 4". The grass is an accessory to the turtle and cut at 1/2". The hearts and sentiment are from the "Kathy Davis Expressions" by Inkadinkado. The ribbon is from Michaels.